The Coast Guard posts an RFI for an EHR that can achieve interoperability with the EHRs of the Department of Defense and VA.
USCG gave up on its Epic implementation in 2015 without going live anywhere and finally elected not to renew its Epic contract that expired in early 2016, citing unspecified risks. It had spent five years and several dozen million dollars, also deciding along the way to add the US State Department to its ultimately failed rollout. After the Epic project was halted, the Coast Guard determined that it could not revert back to its previous CHCS/AHLTA system and went back to paper instead. The lead contractor in USCG’s Epic project was Leidos, which later won the DoD $4.3 billion bid in offering Cerner. SAIC, which spun itself off in 2013 as its parent company renamed itself to Leidos, originally developed the DoD’s CHCS system (interestingly, as a customization of the VA’s VistA) in a billion-dollar 1988 initial contract. The DoD is rumored to have spent at least $20 billion on CHCS and its add-on AHLTA, which was not interoperable with the VA’s VistA. Defense contractor Northrop Grumman was paid at least $5 billion to develop AHLTA, rated in a 2016 physician survey as the worst EHR in the country. The DoD keeps giving Leidos and Northrop Grumman high-dollar contracts to keep the old systems running. Cerner should have a slam dunk here unless a well-connected defense contractor takes the Coast Guard down a puzzling path or if the DoD’s project isn’t faring as well as they’ve announced. Leidos might have taken a black eye in the Coast Guard’s failed Epic project, but I still assume they’re the frontrunner as long as Cerner is game to partner with them again, which surely they are given their strong bidding position after their DoD win. Or maybe the Coast Guard will figure out how to participate in the DoD’s Cerner contract instead of mounting a separate project, given that it’s a uniformed service just like the Army, Marines, Navy, and Air Force. From Indigenous Species: “Re: Orion Health. Laid off 20 people last week – I have the list of those affected if you want it. My position was eliminated two weeks ago. Share price is way down from last year.” The New Zealand-traded shares of the company have shed 66 percent in the past year, valuing it at $223 million. The stock was pounded earlier this month on the company’s announcement of expected lower annual revenue and continuing (but improving) annual operating losses. CEO Ian McCrae said in that announcement that Orion will launch a cost reduction program and will evaluate partnership or minority investment interest. From Dense Matters: “Re: Readers Write articles. Some of them are pretty lame. Do you run all of those submitted?” I actually reject most of them. Folks with creative ideas and insightful opinion apparently aren’t writing articles since most of those I receive are PR-polished vendor fluff pieces. I justifiably rejected one of those this week by randomly choosing five sentences from it and defying the PR person who sent it to me to find a single original or interesting thought in any of them (example: “Payers and providers recognize that future survival in the fee-for- value world depends on having the right systems in place.”) Restating dull, obvious facts isn’t a good way to draw the interest of my readers and yet people keep proudly sending me that crap like it’s wonderful. If you don’t like what I’ve run, imagine how bad the articles were that I rejected. Office person: We can send that form to you. Do you have a fax machine? Me: No, this is actually the 21st century, where the only fax machines left running are in hospitals and doctors’ offices. I don’t even have a landline even if I wanted to set up my multifunction printer to fax. It’s just a blank form. Can you email it to me? Office person: No. If you don’t have a fax machine, we will have to mail it to you and you can fill it out and mail it back. My only secret weapon is those online fax services that allow you to send an ad-supported free fax, where I can at least scan and send the completed form back to them quickly. I am baffled why no doctor’s office I’ve ever asked can (or will) send email attachments for routine, non-PHI containing forms like this. Probably because nobody’s willing to pay them to change their ways. Listening: Kiefer Sutherland (yes, Donald’s boy Jack Bauer). Movie stars obviously get a fast track for crossover music deals (especially when they own the record label as Kiefer does), but his 2016 album is really good with his gruff, whiskey-sounding voice, which is probably appropriate given his string of DUI arrests and prison time. The album has been characterized as country, but despite an occasional on-stage cowboy hat, it sounds more like blues-rock tinged Americana to me. Here’s a healthcare connection – Keifer’s grandfather created North America’s first universal healthcare program in Saskatchewan, Canada as the father of Canada’s Medicare program. If you’re instead feeling proggish, there’s a new album by former Genesis guitarist Steve Hackett, who provides an alternate ending to Phil Collins turning the shockingly talented prog rockers into the Archies. Specialty drug prescribing software vendor ZappRX raises $25 million in a Series B funding round, increasing its total to $33 million. Mpirica, which publishes surgery quality scores for hospitals and surgeons using claims data, receives a $4.6 million crowdfunding investment. 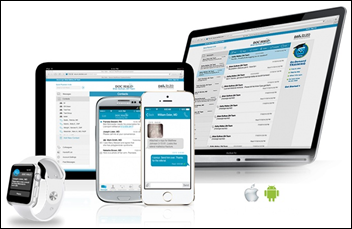 Clinical communication system vendor Doc Halo receives $11 million in a Series A funding round. Care management company Lumeris acquires analytics vendor Forecast Health. HealthVerity, which sells drug companies de-identified healthcare research data that it assembles from 30 suppliers, raises $10 million in a Series B round. 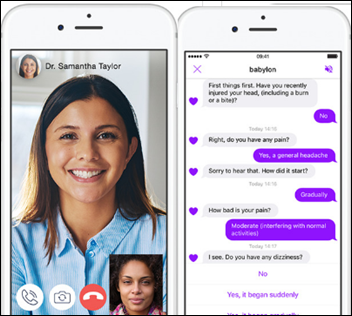 UK-based video- and chat-based virtual visit provider Babylon Health raises $60 million in funding, valuing it at $200 million. The company is also working on an AI-powered chatbot for NHS’s 111 non-emergency line and plans to further develop AI-powered diagnosis. 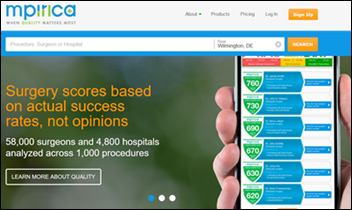 Surgical Information System acquires SourceMed, which sells ambulatory surgery center software. SourceMed’s president, CEO, and board chair since December 2014 is Jamie Coffin, PhD, who was VP/GM for Dell’s healthcare and life sciences business from 2007 to 2013. 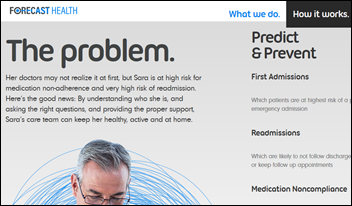 Epic will offer patients health information from Mayo Clinic in its MyChart and MyChart Bedside tablet apps, available by clicking an Infobutton or on a keyword. Apache Software Foundation releases v4.0 of its open source cTakes natural language processing engine for healthcare-related free text. Smartphone clinical study participation vendor Medable will use API services from Redox to integrate EHR data into their system. 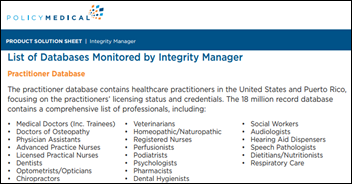 PolicyMedical announces GA of Integrity Manager, which automates the electronic review of vendors, business associates, and employees to meet the compliance requirements of OIG and OCR. 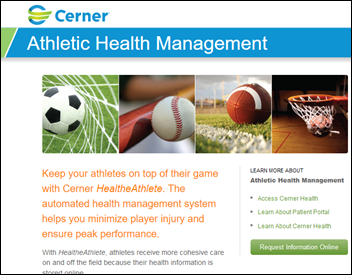 Cerner will integrate concussion management software from NeuroLogix Technologies into its HealtheAthlete health management system. I’ll be honest in admitting that I’ve never heard of HealtheAthlete. Partners HealthCare will work with Persistent Systems to create an open source, SMART/FHIR-powered platform that will allow providers to exchange best practices knowledge. Medsphere releases a patient scheduling tool for its OpenVista inpatient and ChartLogic ambulatory EHR. 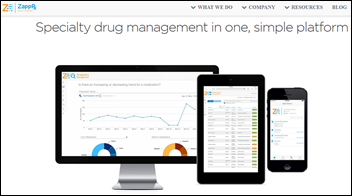 QuintilesIMS will develop Salesforce solutions for managing clinical trials, recruitment, and marketing that will be marketed to life sciences companies. Former President Barack Obama will speak at the healthcare conference of Wall Street investment banker Cantor Fitzgerald in September for a rumored $400,000 fee. I bet someone at HIMSS is talking to his people about opening HIMSS18, which would certainly represent an improvement in the string of vendor CEOs to which HIMSS has recently bestowed the prime time speaking slot, although maybe the former President is too expensive (HIMSS paid Hillary Clinton $225,500 for her HIMSS14 speech). You’ve likely heard the Cantor Fitzgerald name – 658 of its 960 New York-based employees died in the World Trade Center attacks of 2001. CardioNet would have had no HIPAA responsibilities if it were simply a technology vendor, but the company provides services to Medicare patients and thus is a covered entity subject to HIPAA. It would seem true in most cases that a breached covered entity could be accused of failing to provide adequate risk analysis and management. The company will begin encrypting laptops, flash drives, SD cards, and other portable media. A Nemours Children’s Health System survey finds that while only 15 percent of parents have used telemedicine services for their children, 64 percent plan to do so within the next year, the unlikely massive uptick in projected usage recalling that consumer responses to surveys often differ vastly from their actual behavior. It was also an online survey, which doesn’t necessarily draw a representative sample of all patients. I couldn’t find the 2014 version of the Nemours survey, which I expect contained rosy telemedicine projections that didn’t pan out. Respondents said they favor using telemedicine for their own convenience (acute conditions such cold and flu) but have little interest in having the chronic conditions of their children managed remotely. Erlanger Medical Center (TN) posts improved quarterly revenue, but the CEO warns the board that its $100 million Epic rollout that starts May 1 will temporarily cause reduced revenue due to loss of productivity until staff become comfortable with it. 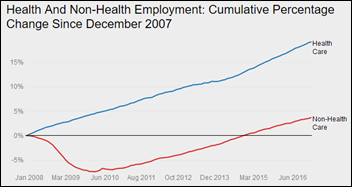 This is not sustainable in a globally competitive environment: healthcare employs one in nine Americans as communities embrace expanding health systems whose swollen headcount replaces jobs lost from dying industries. More than half of the $3.4 trillion spent annually on healthcare is made up of labor costs, with each physician being outnumbered by 16 other workers, half of whom function in non-clinical roles. 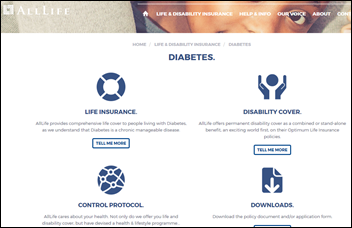 A Warren Buffett-backed insurer offers life insurance for poorly controlled diabetics in the UK using a process called “robo-underwriting” in which the insurer uses technology-powered medical data analysis to set premiums based on user behavior such as medication adherence and having their blood glucose levels tested regularly. Customers are required to comply with the company’s diabetic control policies, with their annual monitoring results sent directly to the company for premium adjustments that can range from a 4.5 percent discount to a 7.5 percent penalty. 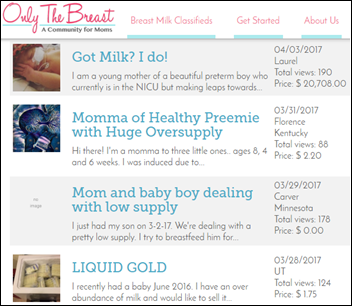 Kaiser Health News notes the proliferation of breast milk banks, some of which are run by for-profit companies that pay new moms $1 per ounce for milk that they then resell to other mothers and even hospital NICUs for up to $300 for a one-day supply or to drug companies who use the milk in manufacturing. The facilities are not overseen by the FDA and studies have found that a significant amount of the product being sold is either contaminated with bacteria or has been diluted with plain old supermarket milk. I missed this great story from last month. Myron Rolle — a former NFL player and a Rhodes Scholar from Florida State University – has not only earned a master’s in medical anthropology at Oxford, but has also graduated from FSU’s medical school and has matched to Mass General’s neurosurgery residency program. He says he had football playing years left, but was anxious to avoid the potential concussions and hand injuries that could have ended his dreams of becoming a neurosurgeon. 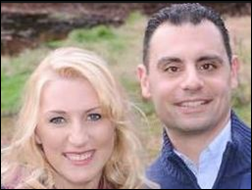 Police use home network and fitness tracker data to charge a Connecticut man with murdering his wife. Home network logs showed that the husband logged into Outlook at the time he claimed to have been at work, the couple’s home security system log showed doors opening at times that didn’t agree with his story, and the wife posted to Facebook and recorded her Fitbit steps after he claimed to have found her dead. The Advisory Board includes CareVive Systems in its Cancer Care Transformation Playbook. Casenet will deliver evidence-based content from XG Health Solutions via its care management platform. Crossings Healthcare Soutions GM Justin Monnig is featured in a Goliath Technologies case study. Health Catalyst wins the Gallup Great Workplace Award for the second year in a row. Cumberland Consulting Group will exhibit at the Asembia Specialty Pharmacy Summit 2017 April 30-May 3 in Las Vegas. 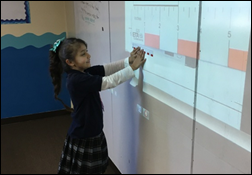 Direct Consulting Associates will exhibit at the iHealth 2017 clinical informatics conference May 2-4 in Philadelphia. ECG Management Consultants will present and exhibit at the 2017 ASCA Annual Meeting May 3-6 in Oxford Hill, MD. EClinicalWorks will exhibit at the CAMGMA 2017 Annual Conference April 27-29 in San Diego. Evariant will exhibit at the Healthcare Communications Conference May 1-3 in Baltimore. Healthwise will exhibit at ZeOmega’s client conference May 2-4 in Plano, TX. Imprivata and Intelligent Medical Objects will exhibit during the HIMSS UK eHealth Week May 3-4 in London. 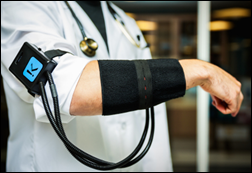 Ingenious Med will exhibit at the Society of Hospital Medicine’s 2017 annual meeting May 1-4 in Las Vegas. InstaMed will present at the World Health Care Congress May 3 in Washington DC. InterSystems will exhibit at the HL7 international meeting May 6-12 in Madrid.